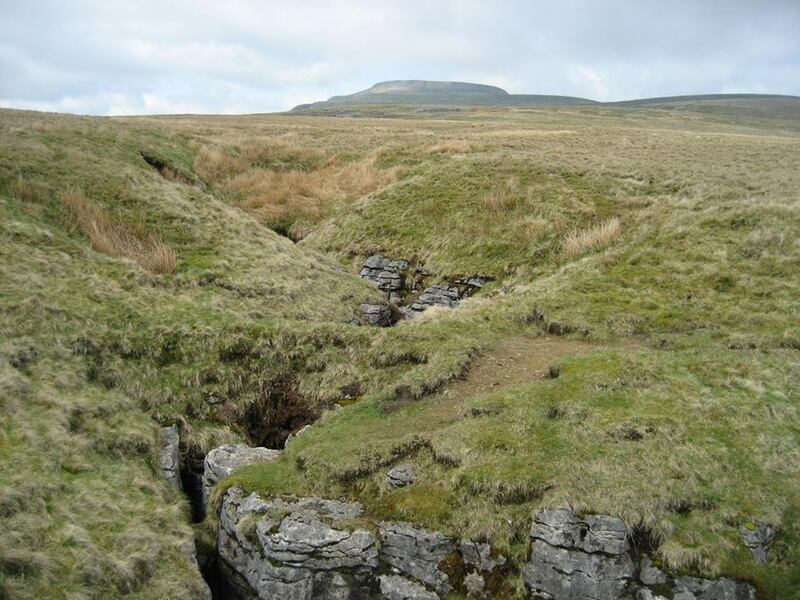 More than any other British mountain, it is Ingleborough that is synonymous with caves. The combination of heavy rainfall, steep slopes and a boundary between Great Scar Limestone and impermeable upper layers creates the perfect conditions for caves to develop. 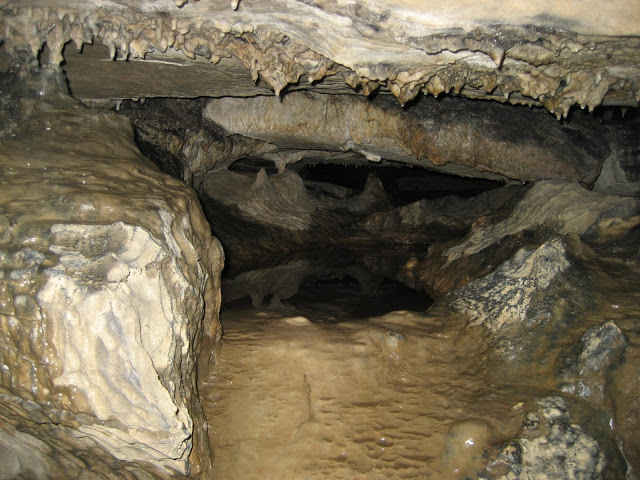 Before considering cave formation in more detail, it is handy to have an overview of the most important cave sites, so these can be referred to on an Ordnance Survey map. The Ingleborough massif is effectively ‘framed’ by a well-known triangle of roads, with the A65 running NW/SE along the southern edge. To the east, the B6479 cuts through Ribblesdale, while the western flank sees the B6255 running along Chapel-le-Dale. The apex of the triangle lies at Ribblehead. It makes sense, therefore, to consider the caves along each of these flanks in turn. By far the most cavernous area is the west flank of the mountain, where the benches to the east of the road are literally riddled with caves and potholes, and it is easy to see why. Here the mountain’s Yoredale slopes are at their steepest, and the limestone benches at their widest. 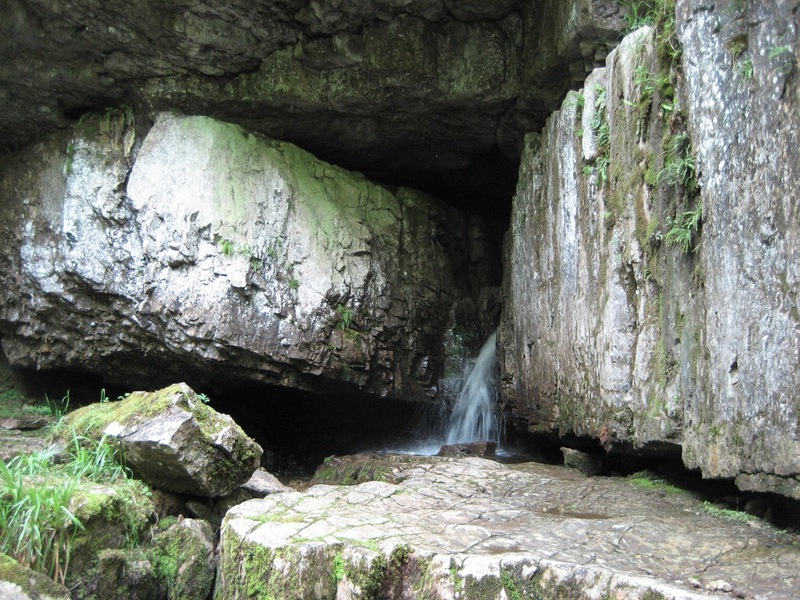 Water is funnelled down the slopes onto the limestone and makes its way through the maze of joints and bedding planes before emerging on the ancient slates below. Many caves have formed along beddings along the limestone/Yoredale boundary, while others have formed along faults, such as the spectacular Meregill Hole (740757). 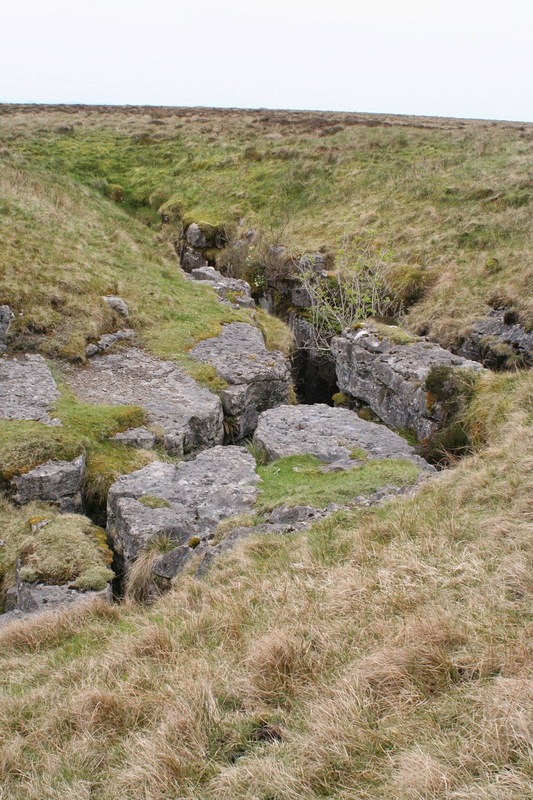 This flank also contains the super severe Quaking Pot (731741) and the fascinating Tatham Wife Hole (732747) where you can literally watch the water emerging out of the lowest Yoredale limestone before disappearing into the Great Scar. Other sites such as Black Shiver Pot (737754) have names that are deterring enough without close inspection being necessary. 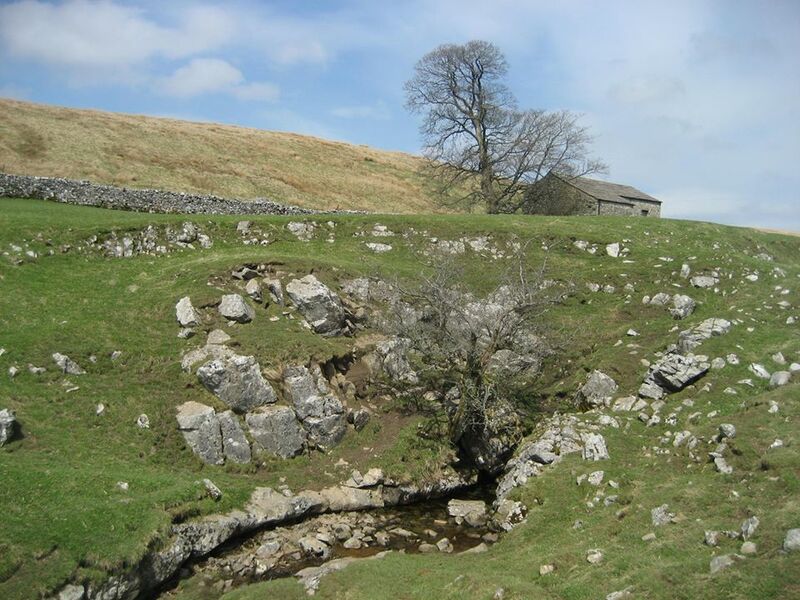 This ‘super severe’ (grade 5) pothole was discovered by Dave Brook in 1967 when he patiently walked the entire limestone/Yoredale boundary, inspecting every hole and crevice, and revealing the potential for yet more discoveries on Ingleborough. The former show-cave at Skirwith (709738) offers a complete contrast in an easy walk-in passage requiring only a little care and experience to explore, while Sunset Hole (742759) and Great Douk Cave (747770) are fine examples of meandering vadose canyons, with the latter being perhaps the easiest way for a novice to discover the Ingleborough underworld. The water emerging from most of these systems emerges in the floor of Chapel-le-Dale, once it meets the impermeable basement at God’s Bridge (733763). Here it is met by water from Chapel Beck which has been playing hide and seek for much of its length; most famously emerging from a high-level passage and dropping down the awe-inspiring daylight shaft of Weathercote Cave, before once again hitting the flooded confines of Jingle and Hurtle Pots. 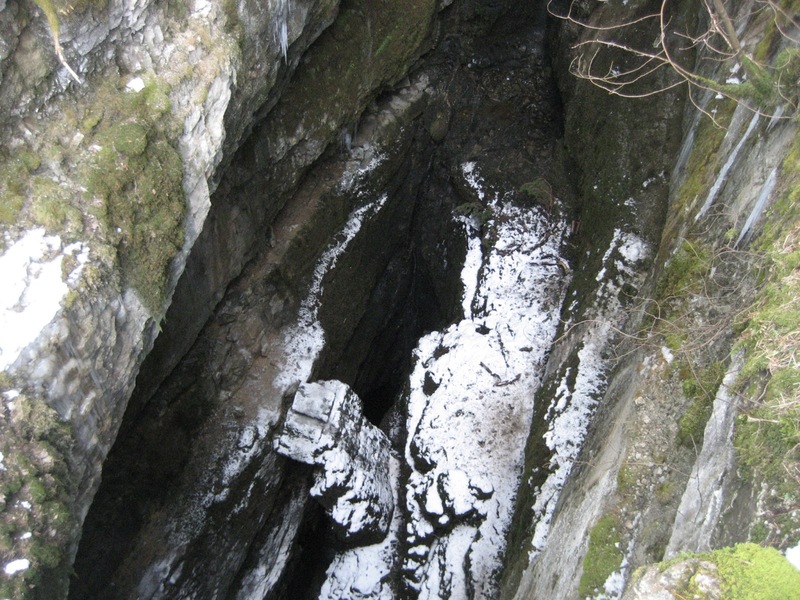 The most famous – and most commercial of the wild-west wonders is White Scar Cave, (712745) one of Ingleborough’s two show caves – and discovered as recently as 1923 by Christopher Long. 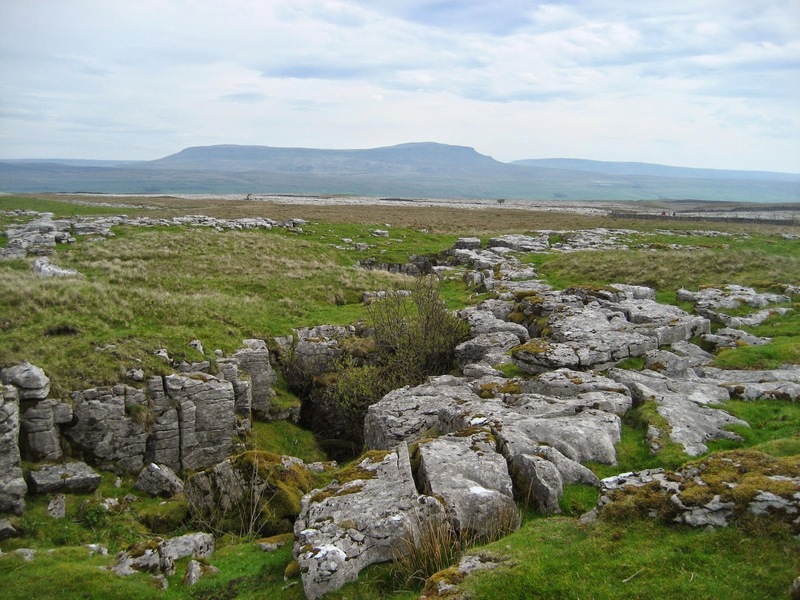 Its huge chamber, the Battlefield, is one of Ingleborough’s most impressive sites – and despite the gift shops, coach parks and ice cream – it remains a very wild and impressive place. Scales Moor, on the west side of the dale, is a place of great potential. 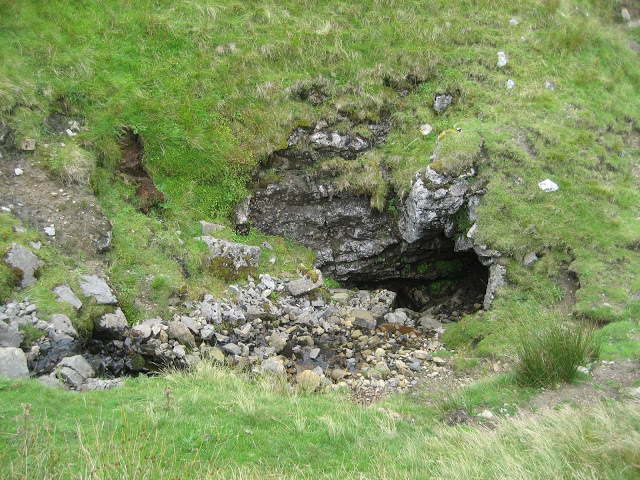 The limestone here is not overlooked by the same breadth and steepness of Yoredale rocks as on the Ingleborough side, but despite this, the possibility of Dale Barn Cave (712756) providing the key to a huge, undiscovered system beneath the moor is still very much on the cards. The Ribblesdale flank, below Simon Fell, is dominated by Alum Pot (775756): probably the most spectacular surface opening anywhere in the UK. The contrast between the appallingly obvious dangers of the great pothole and the ease with which the adjoining Long Churn Caves can be explored, could not be a greater one. Yet visitors have to be careful to go in the right way, as the seemingly easy entrance to Diccan Pot hides huge underground shafts, chilling air whistling down the passages, and hypothermic waterfalls, plunging to the base of Alum Pot. The great mystery of Alum is that the water leaving it actually passes underneath the River Ribble, before emerging at the sinister looking pool of Turn Dub (798749), a mile or so away. Nearby lies the equally daunting Washfold Pot (774765) with a massive underground pitch, while to the south, the distinctive fault of Sulber Nick contains the aptly named Nick Pot – with an even bigger underground shaft – and the contrastingly quaint Sulber Pot, whose water vanished long ago. The oppressive Hangman’s Hole, with its Gallows and Executioner – completes the trio. Further east, the water collects from Ingleborough’s upper slopes and converges with water from Simon Fell to form the major stream of Fell Beck. 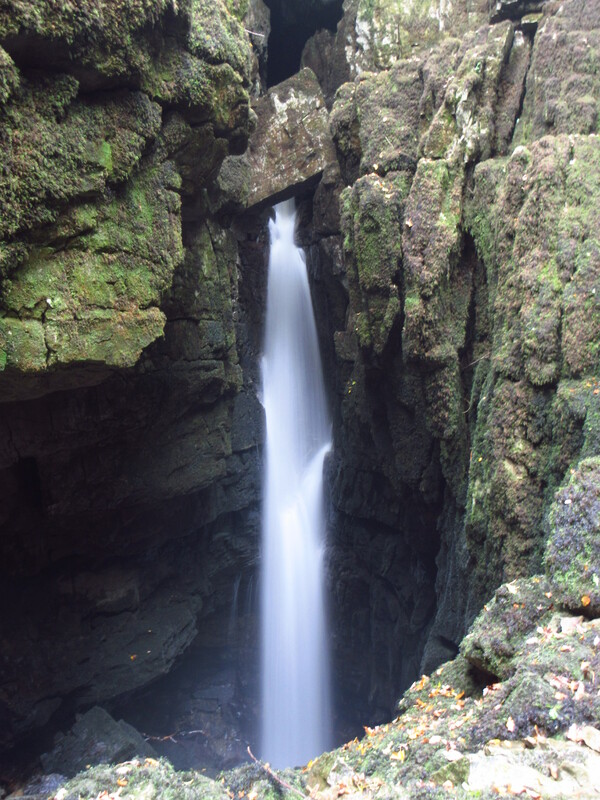 Once it meets the Great Scar Limestone, the beck is swallowed in one 340 foot gulp by Gaping Gill – (751727) far and away the most famous pothole in Britain, containing a chamber big enough to hold most of the nave of York Minster. Water vanishing beneath the chamber floor was proved by dye testing to emerge at Clapham Beck Head, close to Inglebrorough Cave (754710) and a ‘human’ connection finally made in 1983. Ingleborough Cave has provided fascination for visitors ever since the barrier to its underground lake was removed by James Farrer in 1837. 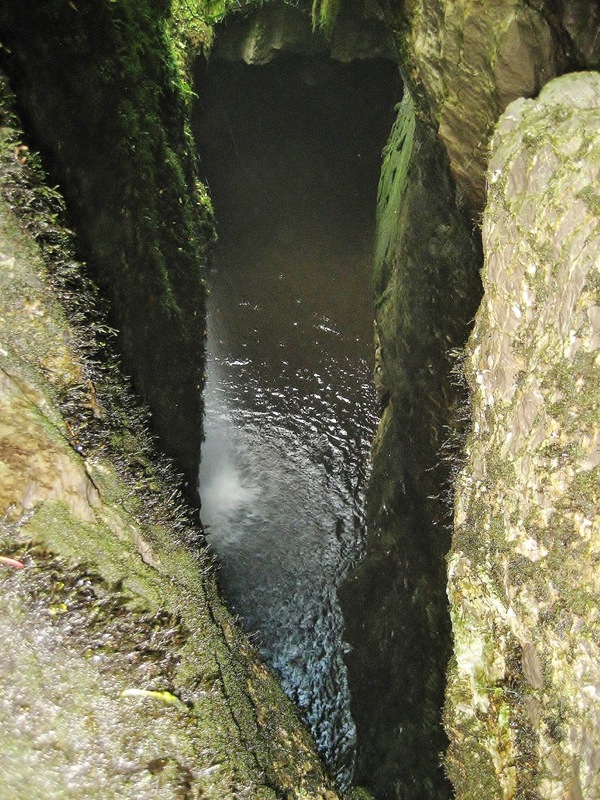 Gaping Gill is just one of many entrances into this spectacular cave system which runs like a maze beneath Trow Gill and Clapham Bottoms – but except for two occasions a year when a winch is assembled for the public – they are for experienced and competent cavers only. The wild moorland of the Allotment completes the southern suite of potholes. Here the magnificent Juniper Gulf (765733), Jockey Hole and Rift Pot lie in close proximity to the enormous doline of Marble Pot, with the rib-crushing confines of Car Pot not too far away. 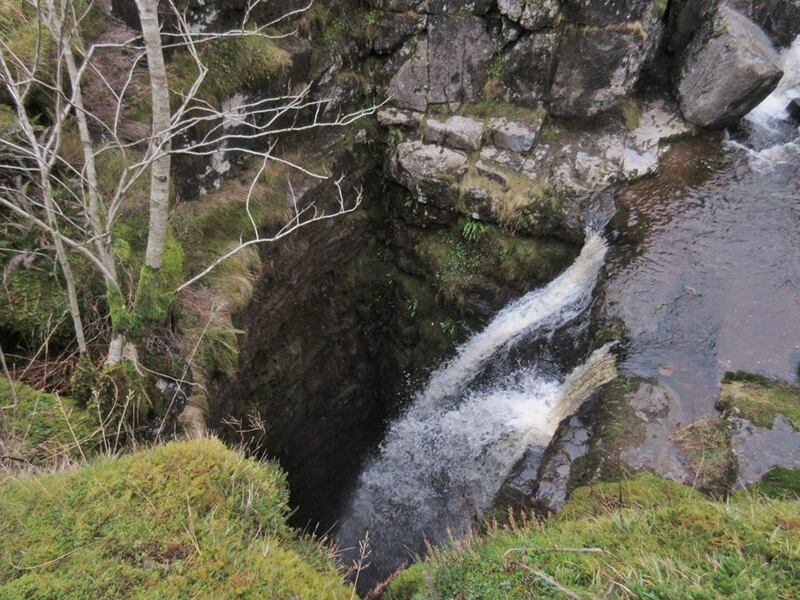 In contrast to these spectacular shafts, the northern ‘apex’ of the Ingleborough massif contains man shallow stream caves around Ribblehead, most notably the Thistle, Runscar and Roger Kirk Caves close to the railway viaduct. In Thorns Gill, east of Gearstones, Katnot Cave is easily explorable – while Thorns Gill Cave lies in the bed of the beck itself and floods like a monster! Upstream, Holme Hill Cave was one of the very first show caves and now lies open for all to see. 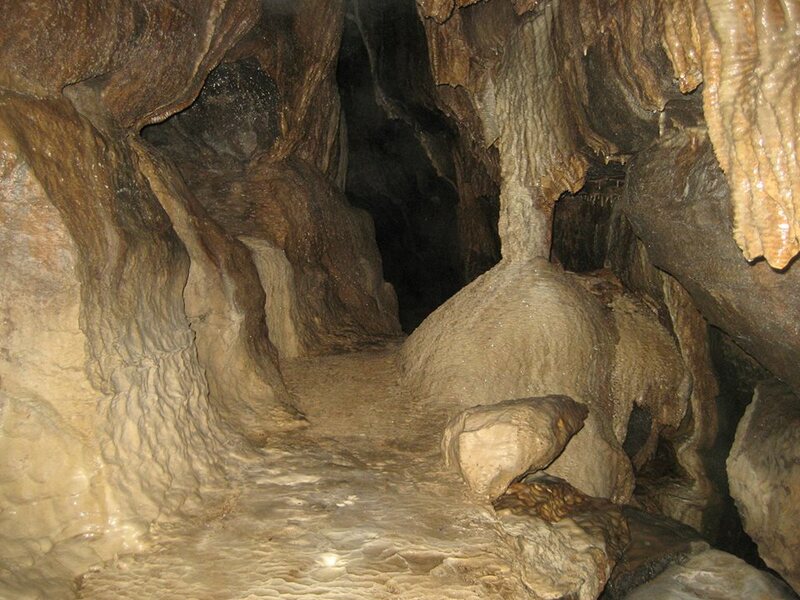 It is important to remember never to enter any caves without the correct equipment and an experienced guide. Even if you only venture to the entrances, knowing a little more about how they came to be makes the experience so much more rewarding.